Now that the dust has settled on THQ's breakup and subsequent auction, we have a pretty clear image of where each franchise did (or didn't) land. We're breaking down where each of the studios and their franchises went, and how much they were purchased for. Relic goes to Sega for $26.6 million. Relic is the studio responsible for the Company of Heroes franchise. Company of Heroes 2 will likely be finished and published by Sega. Before this auction, Company of Heroes 2 was slated to drop in early 2013. THQ's Montreal Studio goes to Ubisoft for $2.5 million. Montreal was in charge of two games that we don't know anything about. 1666 and Underdog will now be published by Ubisoft. It's worth noting that Ubisoft already has a huge presence in Montreal. Evolve goes to Take-Two for $10.894 million. Evolve was another unannounced title. It's also listed as Metamorphosis in the legal documents. This new title must be something special if Take-Two (the publishers behind Grand Theft Auto and BioShock) were willing to shell out $10 million for it. Saints Row and Metro go to Koch Media (Deep Silver) for ~$28 million. Koch Media picked up both Volition and the Metro franchise in two separate buys. Volition, of course, is the studio behind Saints Row. That means Koch Media will now publish both Saints and Metro with Deep Silver. Deep Silver is the Koch Media owned house responsible for Dead Island. Homefront goes to Crytek for $544,218. That's right. Crytek bought the Homefront license for the same amount that one could buy a nice home in Southern California. THQ had Crytek lined up to develop Homefront 2, so this purchase makes sense as the developer can now publish the game. 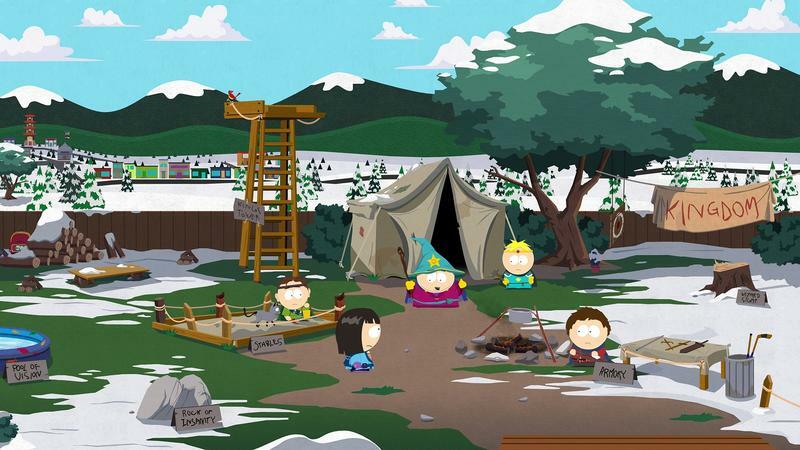 South Park: The Stick of Truth goes to Ubisoft for $3.26 million. Finally, South Park: The Stick of Truth was picked up by Ubisoft for a tidy sum. This game will still come out in 2013, but we expect it to miss its spring release date. Hopefully, South Park Studios are cool with this transition. What about Darksiders and Vigil? The biggest franchise and studio missing from the list of sales belongs to Vigil. Vigil is the studio responsible for Darksiders and Darksiders 2. That new IP, and all of the folks who brought it to life, will fall into the bankrupt mass that is now THQ. Hopefully it will be purchased down the line. What do you make of all these sales.